Rice Flour – 4 tbsp. Carom seeds (Ajwain) – 1/2 tsp. Cooking Soda – 1/4 tsp. Hot Oil – 2 tbsp. 1. 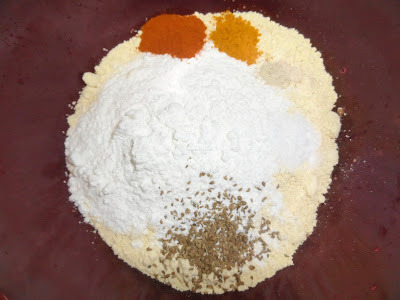 Take a mixing bowl and add all the items mentioned in the ingredients section except oil for deep frying. 2. Add water little by little and mix well to make batter. Make sure no lumps are formed when preparing the batter. 3. 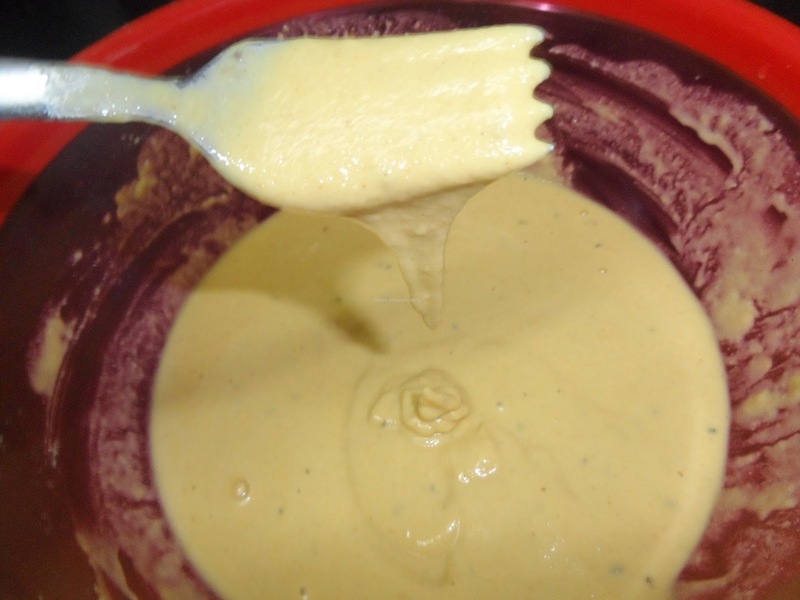 The batter should not be too thick or too watery. Batter consistency should be little thicker than the dosa batter. Once the batter reaches correct consistency, add the hot oil and mix well. Adjust the salt if required. Bajji batter is ready to make yummy bajjis and bondas.